I’ve recently been made aware of the work of Edwin Smith (1912 – 1971), the English architectural and landscape photographer (I’m slightly embarrassed to say I’d not come across his work before embarking on We English). Here’s a short bio from the V&A’s website (they hold a collection of his prints) – Smith’s photographs illustrated many books dealing with ‘English Cottages and Farmhouses‘ (1954), ‘English Parish Churches‘ (1952) and ‘Hatfield House‘ (1973). From the Second World War onwards, Smith began to look at rural Britain and architectural subjects. In the 1950’s, he illustrated a number of books on the landscape and architecture of Britain, including English Parish Churches, English Cottages and Farmhouses and The English Gardens. By the time of his death in 1971 Smith had illustrated more than 30 such volumes. Apart from these numerous book commissions, he often photographed simply to note and capture nuances of civic life. 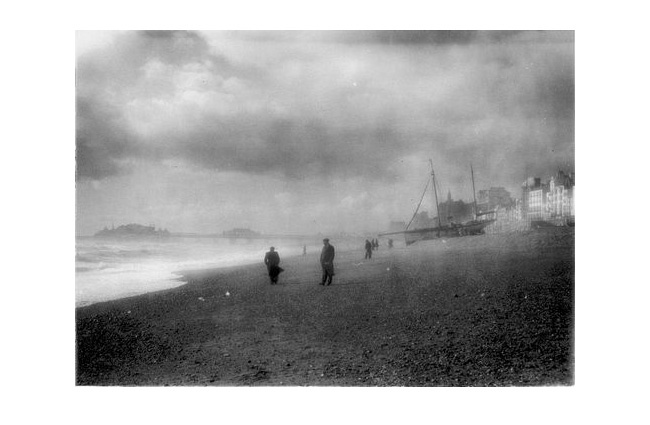 His photographs are testimony to the sympathetic approach he adopted towards British life and landscape. You can see a selection of Smith’s prints at Chris Beetles gallery in London and on their website here. This entry was posted on Sunday, April 7th, 2013 at 9:54 pm	and is filed under MISCELLANEOUS, OTHER STUDIES. You can follow any responses to this entry through the RSS 2.0 feed. Both comments and pings are currently closed.